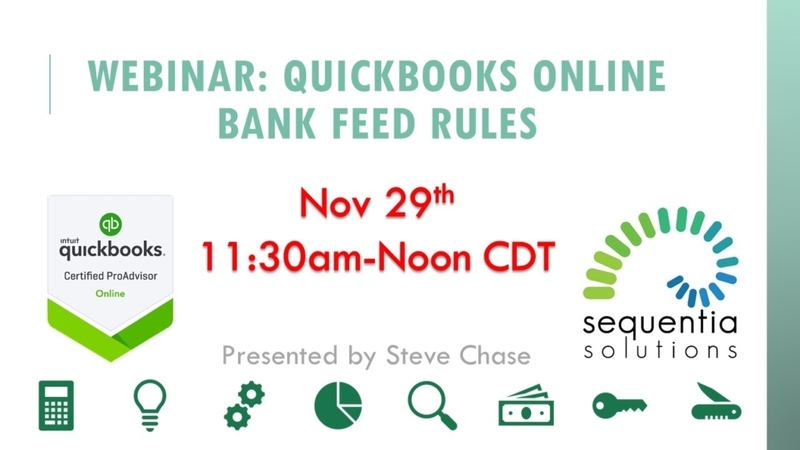 You are invited to my Quickbooks Online webinar on Nov 29th from 11:30-12pm CDT. I’ll be teaching on the how to setup and use the bank feed rules. Register here to receive an invitation to the Zoom meeting link.